Captures memories that last forever with Extreme Excite most professional photographers. Coverage of the event will surely means satisfaction of all clients. 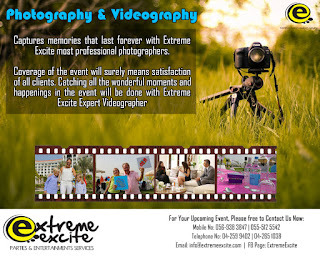 Catching all the wonderful moments and happenings in the event will be done with Extreme Excite Expert Videographer.